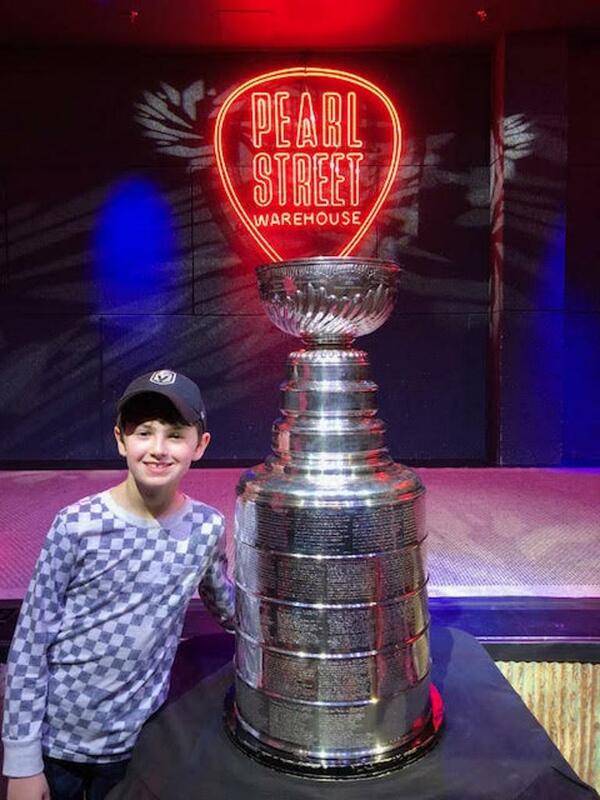 Titans U10 player Cole Coiffe got an opportunity that players throughout the NHL work all season, every season to do: He got to touch the Stanley Cup. The cup is hockey's highest prize, awarded each year to the winner of the NHL championship. It is more than 120 years old and has a storied history. Unlike sports like football, where a new championship trophy is minted each year, the cup is passed from team to team (and it's not small, at three feet high and weighing 35 pounds). The cup has been won more than 100 times, with the Montreal Canadiens holding the record with 24 cup victories. The Pittsburgh Penguins currently hold the cup.